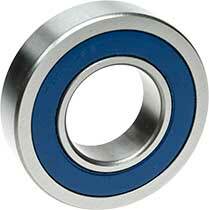 These are standard deep groove ball bearings. ZZ= 2 metal shields. 2RS= 2 rubber seals. 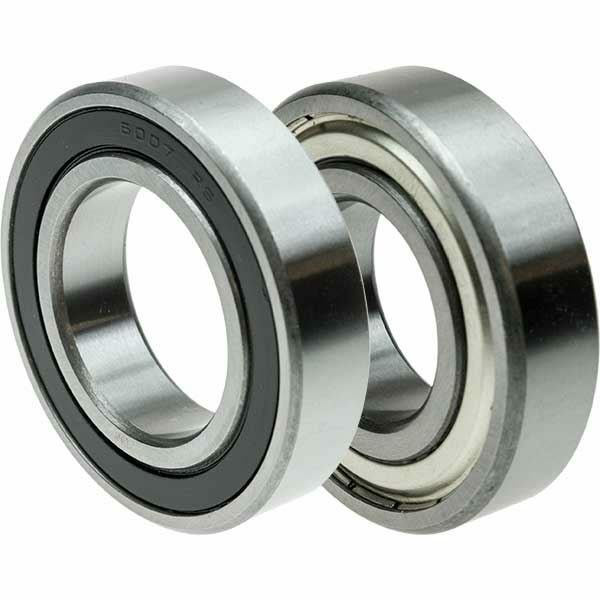 For MT3 spindles, 7206B-2RS angular contact ball bearings are a better alternative for the top and bottom bearings. They are specifically designed to accept a pre-load, resulting in better spindle accuracy. They also have rubber seals (2RS), ensuring better protection against contamination, when compared with open or metal shielded bearings. See a copy of Neil Wyatt's article Improvements to an X2 Mill where he upgraded his X2 Mill MT3 spindle with 7206B Angular Contact Ball Bearings (from Model Engineers' Workshop issue 201).